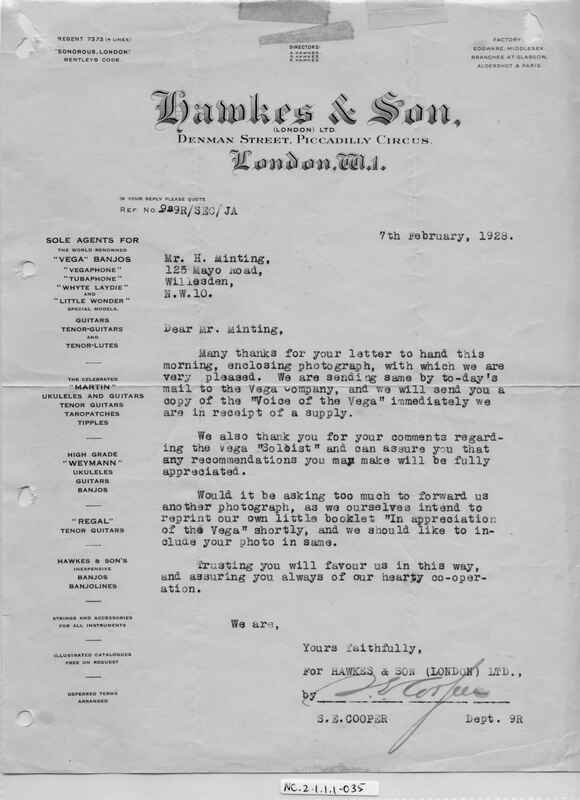 Full Description: A Letter from Hawkes and Son, dated 7th February 1928, thanking Harry for the photo for publication in "Voice of Vega" magazine in the USA. They request a further photo for their own publicity booklet. The Hawkes firm later joined to form Boosey and Hawkes - who ended up owning Wheatstone & Co in the 1950s!